ROME (CNS) — Continuing his monthly Year of Mercy visits to people in particularly vulnerable situations, Pope Francis spent an afternoon Oct. 14 at Rome’s SOS Children’s Village. The village, which includes five houses, attempts to provide a home-like atmosphere for children under the age of 12 whose parents cannot care for them. A maximum of six children and a house mother live in each of the houses at the village. When Pope Francis announced the Year of Mercy, he said that he would try each month in private to fulfill one of the works of mercy. 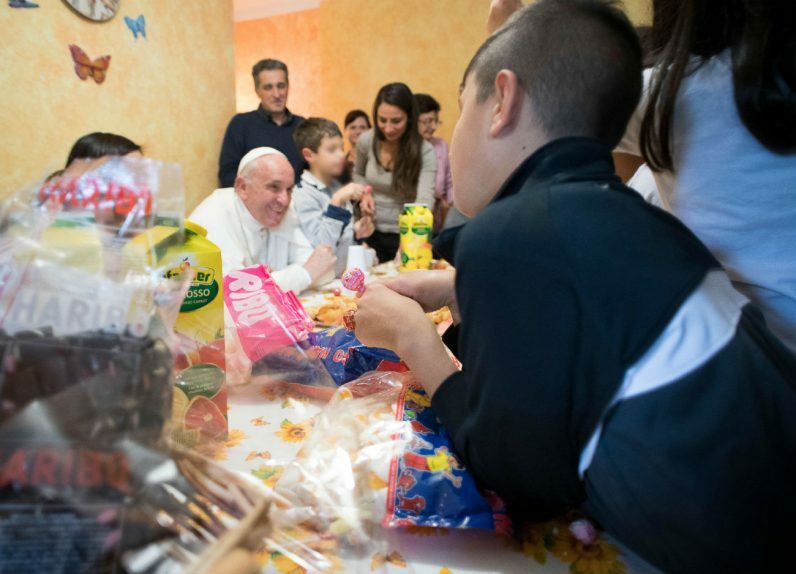 Since December, his Mercy Friday visits have included spending time with migrants, the aged, at a recovery community for former drug addicts and at a shelter for women rescued from human trafficking and prostitution. 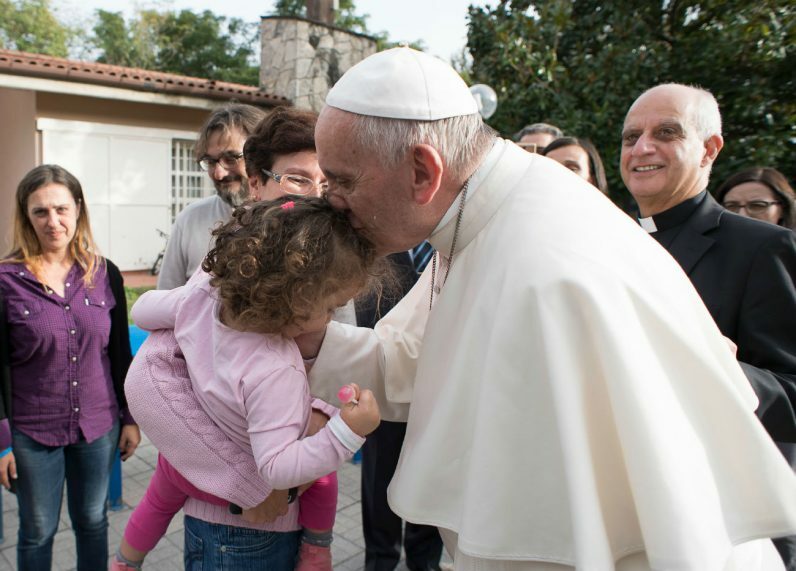 In September, he visited the neonatal unit of a Rome hospital, then went to a hospice, spending time with people who are dying and with their loved ones.